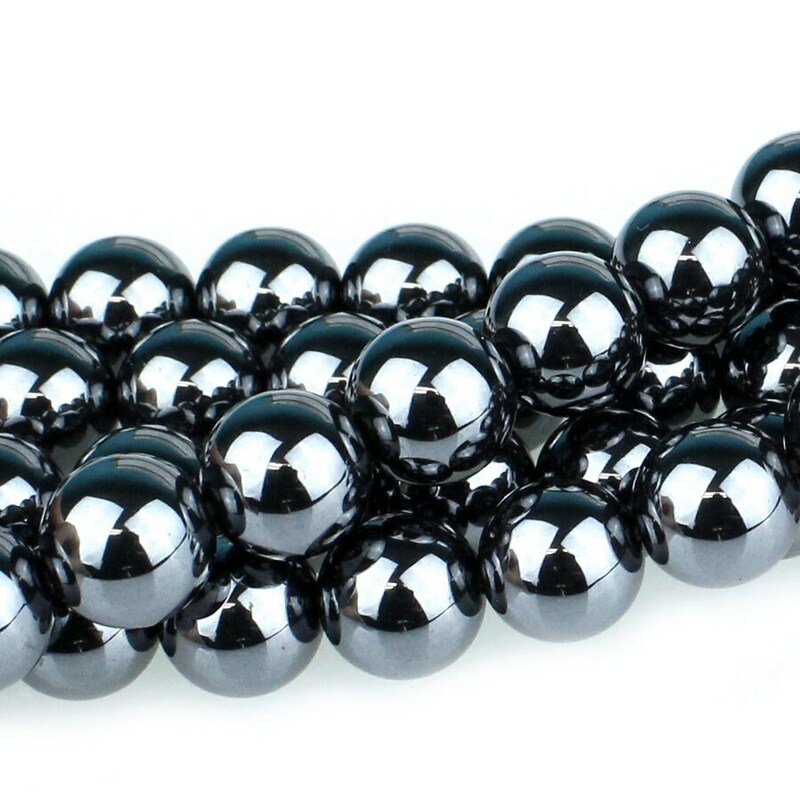 Hematite is an iron oxide and one of the few gemstones with a metallic luster. When tumbled it can have the look of polished steel. Hematite is black to steel-gray or silver-gray, as well as brown to reddish brown or red in color. Its name is derived from the Greek word for blood, “haima,” owing to its red appearance when sliced thinly or powdered. Approx. Bead per Strand: 21.